Language forms basis for our understanding of the world, how we relate to each other and how we construct and maintain unique cultures. But language extinction is a common phenomena. Of the thousands of languages once spoken around the world, only a handful survive, and many are at risk of being lost. A new film depicts the efforts to save one such language, Lakota. Rising Voices / Hótȟaŋiŋpi aims to inform the general audience about the plight of native languages and to inspire younger Lakota to work to save their ancestral tongue, says Wilhelm Meya, executive director of The Language Conservancy, which sponsored the film’s production. “We wanted to get young people tuned into the identity issues around language preservation,” Meya told Intercontinental Cry. 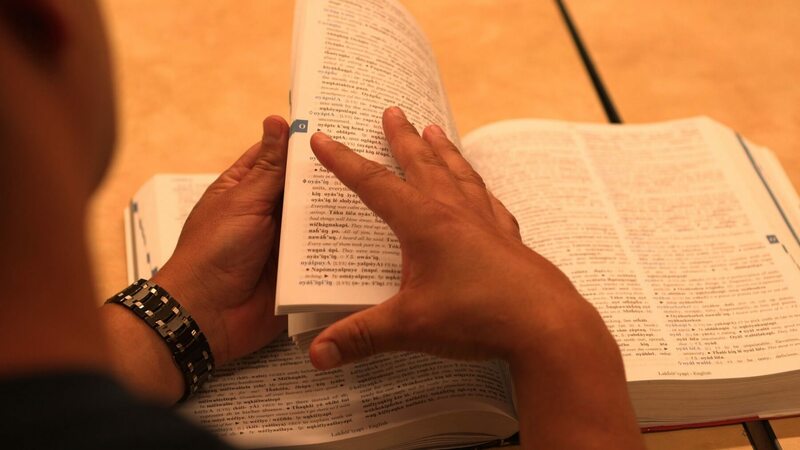 As the average age of Lakota’s 6,000 fluent speakers passes 70 years old, the task of saving the language is increasingly falling to younger Lakota. But many younger Lakota have been separated from their ancestral language, sometimes for generations. From the late-nineteenth century through the 1960s, the US Bureau of Indian Affairs and various religious organizations operated boarding schools where native children, Lakota among them, were often coerced into cutting their hair, dressing in Euro-American clothing and practicing Christianity. Like cadets in military training, students were organized in platoons, trained to run drills and subject to inspections. Their day-to-day life was strictly regimented by bells. Teaching English to the native children was central to this ‘civilization’ curriculum. T.J. Morgan, who served as commissioner for Indian affairs in the the 1890s, regarded the Indigenous Peoples of North America as a hindrance to American progress. Morgan believed English to be “the language of the greatest, most powerful and enterprising nationalities beneath the sun.” Students caught speaking their native languages were punished with mouthfuls of lye soap or beatings. 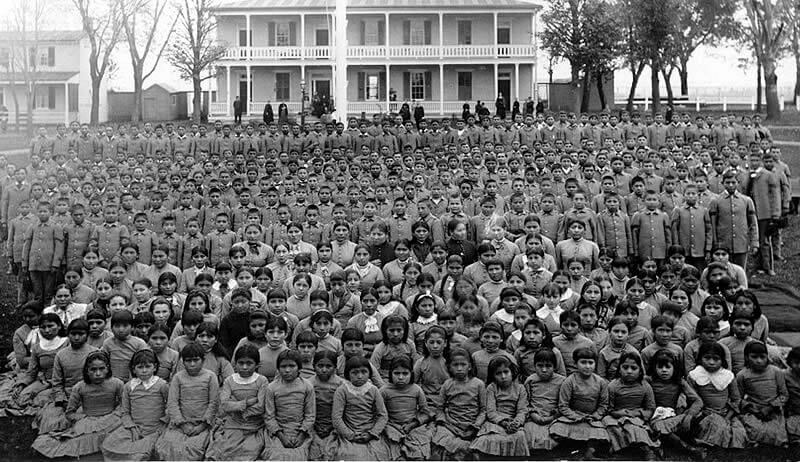 The boarding schools’ punishments instilled an embarrassment and shame into many Indigenous children. And the effects of the attempt to wipe away native cultures are still resonating today. 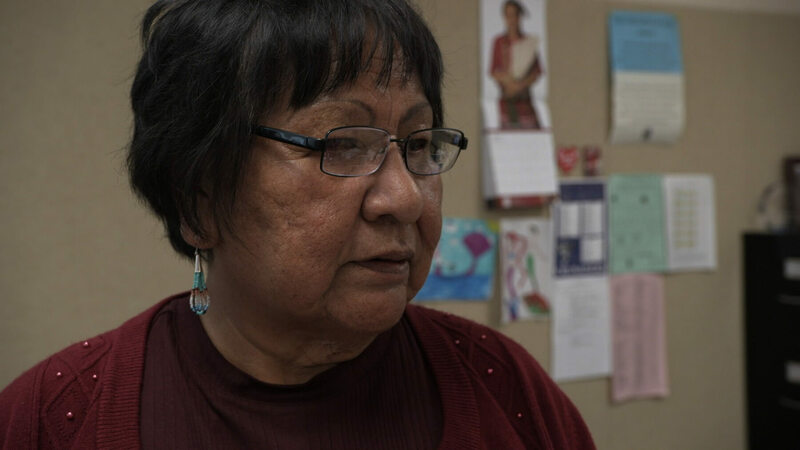 Philomine Lakota, an older Lakota woman interviewed in the film, describes the shame of having her mouth washed with soap when she was caught speaking her native language at a boarding school in the 1950s. “I couldn’t teach Lakota to my own children,” she says in the film. “Because I was afraid for them and what shame they would have to go through.” Philomine now teaches at a Lakota language school. The Lakota are for many non-natives the archetype of the American Indian. Their feathered headdresses, coats of wolf’s fur and their teepee camps pitched against the backdrop of the great plains are still iconic in contemporary Americana. For Alayna Eagle Shield, a Lakota who is learning the language at 26 years old along with her two children, spreading the Lakota tongue is a way to bring her people back together. “There are so many kids who grow up without that sense of identity, and they search for it in gangs and drugs,” she told Intercontinental Cry. Without that sense of cultural belonging that comes with speaking the language, knowing the stories and teachings, it is difficult for Lakota to work together, Eagle Shield says. “I really want my community to feel whole again,” she says. Eagle Shield and her children have been taking classes at the Lakȟól’iyapi Wahóȟpi Lakota Language Immersion School in Standing Rock, North Dakota. Although she’s not fluent yet, Eagle Shield is sharing what she’s learned through a series of Facebook videos. For her, learning a language is easiest when broken down into practical, thematic pieces. Eagle Shield, who works in public health, says she plans to translate information about hygiene and health into Lakota, and would eventually like to start up a summer camp to immerse Lakota youth in the language, culture and traditions. 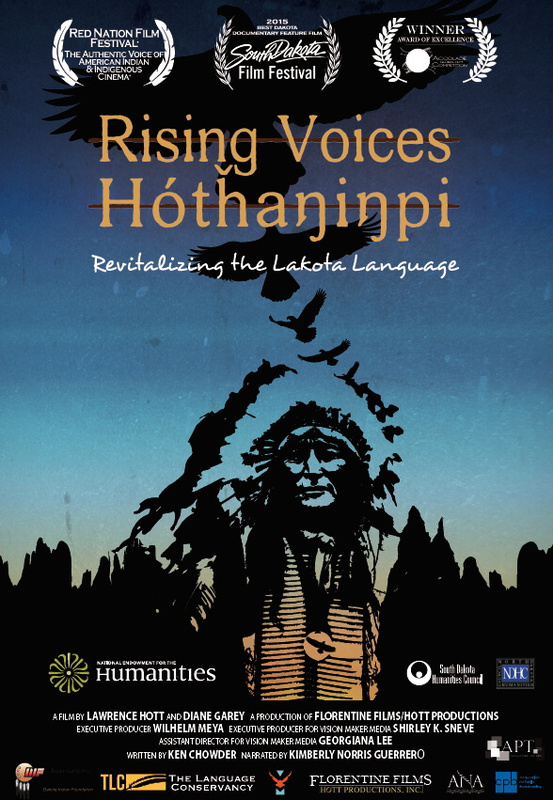 Rising Voices / Hótȟaŋiŋpi is being broadcast across the United States throughout the month of November.